Butler University will confer honorary degrees on alumnus Jauvon Gilliam ’01 and Betty Kessler, who earned her teaching certificate from Butler in 1937, during the December 21 winter commencement at Clowes Memorial Hall. The ceremony begins at 2:00 p.m.
Nearly 175 students are expected to graduate. 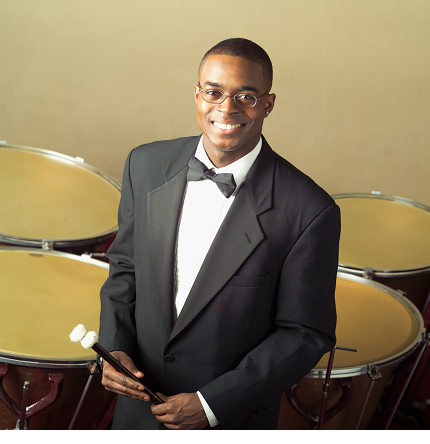 Gilliam was named Principal Timpanist of the National Symphony Orchestra in 2009 at age 29. Since 2011, he has been performing regularly as Guest Principal Timpanist of the Budapest Festival Orchestra. He also plays regularly with the PBS All-Star Orchestra, a group of players from orchestras across the United States. Prior to his NSO appointment, Gilliam was Timpanist of the Winnipeg Symphony Orchestra (WSO) for seven years. He has also performed with The Cleveland Orchestra, San Francisco Symphony, Detroit Symphony, Indianapolis Symphony Orchestra, Manitoba Chamber Orchestra, St. Paul Chamber Orchestra, and Bear Valley Music Festival. 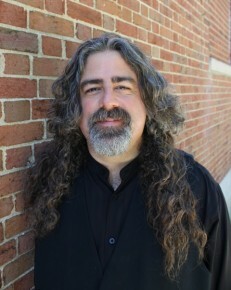 As an educator, Gilliam has led clinics at universities and institutions across Canada and the United States, including the Interlochen Arts Academy, New World Symphony, and the Percussive Arts Society International Convention. He currently serves as Director of Percussion Studies and Artist-in-Residence at the University of Maryland, Timpani Coach for the National Youth Orchestra of the USA, and Co-Founder of the annual Washburgh Timpani Seminar. A native of Gary, Indiana, Gilliam began his musical career playing piano, winning his first national competition at age 11. He received a full scholarship in piano performance to attend Butler University, and later changed to full-time percussion study. He graduated with honors with a degree in Arts Administration and continued his graduate studies at the Cleveland Institute of Music. Betty Kessler’s story exemplifies Ovid Butler’s vision for providing women with access to higher education. She arrived at Butler in 1935 with only one dress in her suitcase and a strong determination to become a teacher of young children. Kessler, now 97, worked in the Butler cafeteria to help pay her college expenses. Her favorite part of the job was serving lunch to Coach Tony Hinkle. 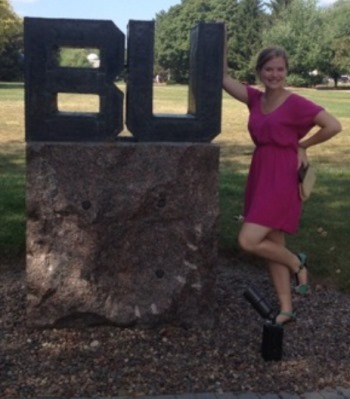 In sharing her memories of the Butler University community, she repeatedly used the word “kindness.” She said she was surrounded by people who cared deeply about her as a person and as a student. 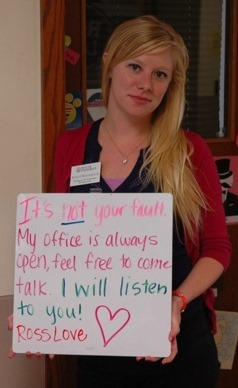 She completed the two-year certificate program at Butler that was required at that time to become an elementary teacher in Indiana. 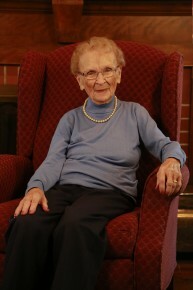 She later earned an education degree through Indiana State University, but regrets that she did not receive a four-year degree from Butler. Kessler’s teaching career spanned over 30 years in the small town of Morocco, Indiana, where she made a positive impact on thousands of lives. Her former students continue to visit her regularly, and Morocco named a park in her honor. Her niece, Barb Greenburg, graduated from Butler and spent 43 years on the Butler faculty teaching Physical Education courses and coaching the women’s softball team. Greenburg’s two daughters, Mandy and Wendy, received their degrees from Butler’s College of Education and are teaching in the Indianapolis Public School system. This fall Wendy’s daughter, Casey, also enrolled in the College of Education to continue her great-great aunt’s legacy. Frank Felice describes his new orchestral composition, “Time and Motion,” as the whirling, swirling, and settling of colorful sediment in a glass of water. 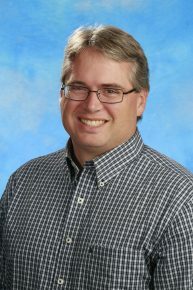 Felice, Associate Professor of the Butler University School of Music, will premiere his composition Sunday at 3:00 p.m. with the Butler Symphony Orchestra at the Howard L. Schrott Center for the Arts. Tickets are available at the Clowes Memorial Hall box office this week and at the Schrott Center two hours before the performance. Clark said it is a gift to have been given a brand new, challenging piece for the orchestra to tackle. Felice’s composition coexists well with the multiethnic and stylistic components of the Corelli, Faure, and Franck pieces to be played at the performance. Clark said the audience can expect to hear a diverse selection of music in style and time period. Felice will not sit in the audience on Sunday and silently critique the performance of his work, as he has with past compositions he has written. He will perform his piece as a member of the student orchestra, another cog in the wheel. Clark said it is a wonderful opportunity for students to play a brand new piece alongside the composer who envisioned and created it. After several weeks of preparation, he said he looks forward to bringing this piece to life. Prohibition officially began nearly 100 years ago, and that upcoming anniversary has generated ever-increasing attention to the topic. So this appears to be the perfect time for Interpreting the Prohibition Era at Museums and Historic Sites, the new book by Jason Lantzer, Butler’s Honors Program Coordinator. The first half or more of his book looks at America’s love and hate of alcohol prior to and including the 1919 passage of the 18th Amendment, which outlawed the manufacture, sale, or transportation of intoxicating liquors in the United States. That section includes a chapter on the brewing industry and the rise of breweries and saloons as both small businesses and also the local arm of big business. Lantzer explains how these enterprises interacted, why we ended up with Prohibition when we did, the eventual repeal in 1933, and a little about its lasting legacy. The second section offers an overview of how historical societies and museums present the topic of Prohibition to contemporary audiences. Like the Oklahoma museum that looked at its state’s decision to keep Prohibition in place into the 1950s. And the Indiana Historical Society’s “You Are There” exhibit, where visitors encounter a re-created police station after a bust was made of a local still. And the National Constitution Center in Philadelphia’s high-tech exhibit based on Ken Burns’ PBS series on Prohibition. “So, if your historical society wanted to do something on Prohibition, you can pull this book and say, not only is it a quick history of the event, but here are examples of how others did it,” Lantzer said. The early reviews are raves. Lantzer’s book is part of an interpreting history series by publisher Rowman & Littlefield. He said they approached him because of his first book, "Prohibition Is Here to Stay:" The Reverend Edward S. Shumaker and the Dry Crusade in America, which came out in 2009. 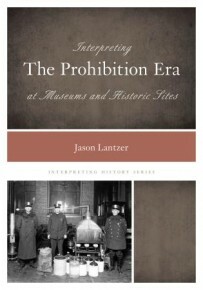 Lantzer’s interest in Prohibition began in graduate school at Indiana University (he also earned his bachelor’s and master’s there) when he was looking for a topic for his dissertation. His advisor, History Professor James H. Madison, suggested that he look at how the Methodist Church in Indiana interacted with the Republican Party and the Ku Klux Klan in the 1920s, and how church issues became political issues, and vice versa. He also had the angle of the Klan operating the National Horse Thief Detective Association, a quasi-police group, which enabled its members to harass their enemies. And he had the good fortune of getting in touch with the last living son of the superintendent of the Indiana Anti-Saloon League, who had his dad’s untouched papers in his attic. 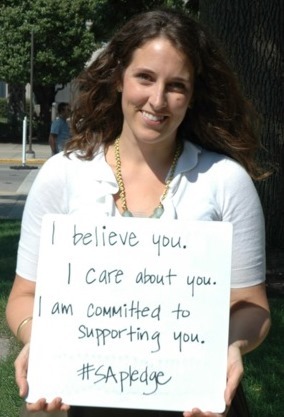 Students and members of the Butler community have gathered across campus this fall to answer a question: What would you say to a survivor of sexual violence? “I admire your strength,” one said. “It’s not your fault,” added another. They wrote their messages on a whiteboard and got their picture taken in support of the Stand Tall Project, an initiative by Noelle Rich ’16, a Psychology and Sociology double major and second-year resident assistant in Ross Hall. She presented the idea to Sarah Boeckmann, Ross Hall Residence Life Coordinator, after a residence life staff meeting early this semester. 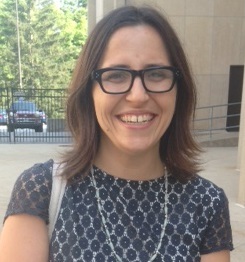 Boeckmann said she jumped on the chance to support Rich and promote an important issue on campus. 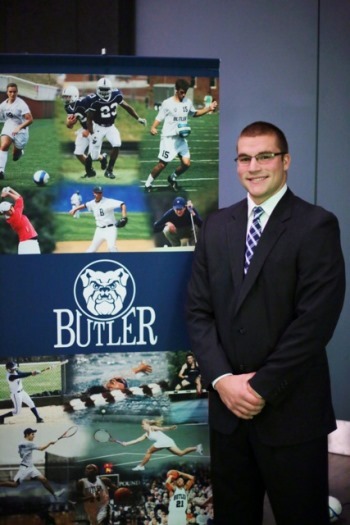 The large amount of support from the Butler community encouraged Rich to take the project even further. Rich said she is working to form a Stand Tall Butler student organization dedicated to raising awareness of sexual assault and creating an environment of safety and support on campus. Sarah Barnes Diaz, Butler University Coordinator for Health Education and Outreach Programs, also spent the night thinking it over before putting her marker to the whiteboard. 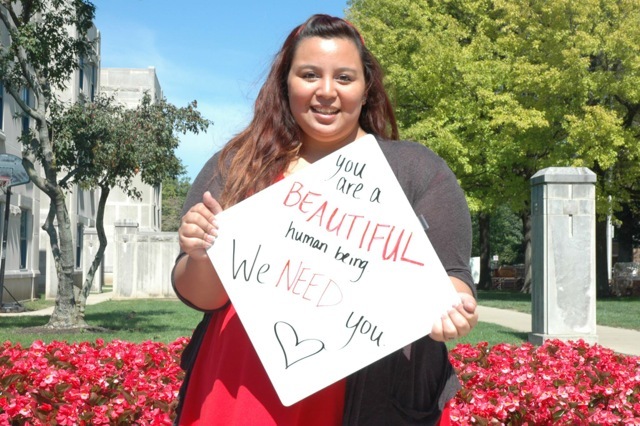 No matter how long it took to craft the message, the message rang loud and clear: Butler University students are passionate about preventing sexual violence and supporting survivors. Rich said she plans to expand upon the project next semester by asking students to write open letters to survivors of sexual violence. She plans to post the letters online to offer survivors an easy access point to support and personal messages from Butler peers. Butler University will celebrate the life of former President Bobby Fong with a public ceremony September 28 at 1:00 p.m. in Clowes Memorial Hall. 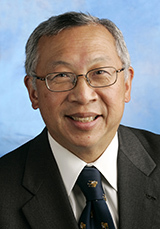 Fong died September 8 in Collegeville, Pennsylvania, where he was president of Ursinus College. Butler President James M. Danko and representatives of the Butler and Indianapolis communities will speak. Suzanne Fong and the Fongs’ sons Jonathan and Colin will be in attendance. A reception will be held in the lobby immediately following the event. Those who cannot attend can watch a live stream of the memorial at www.butler.edu/live. In lieu of flowers, memorial contributions may be made to the Bobby and Suzanne Fong Scholarship established at Butler in 2005. When he became president of Butler on June 1, 2001, Bobby Fong was one of only 20 Asian-American college presidents in the country. A Harvard-educated Oscar Wilde scholar from Oakland, California, he taught English and served in academic administration at Berea College (Kentucky), Hope College (Michigan), and Hamilton College (New York) before joining Butler. 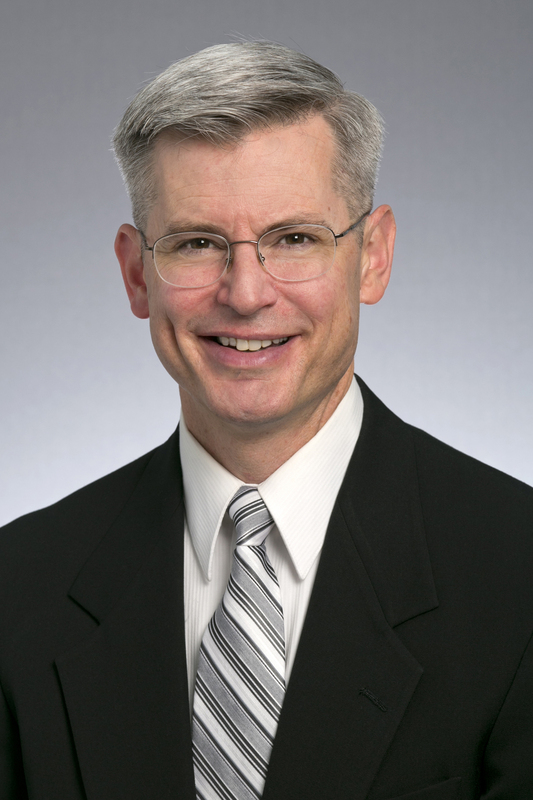 During his tenure, Butler achieved successive balanced budgets and record years for endowment growth, freshman enrollment, and fundraising, including $154 million in the ButlerRising Human Capital Campaign. Several campus structures and renovations were completed, including The Apartment Village student housing, the Health and Recreation Complex, the Efroymson Diversity Center, a new Butler Bowl press box, and a 40,000-square-foot lab and classroom addition to the Pharmacy and Health Sciences Building. Fong championed improved campus-community relationships, more experiential-learning opportunities, equitable employee compensation, and active recruitment of minority students and faculty. He considered Butler's invitation to establish a Phi Beta Kappa chapter in 2010, and the increase in the University's graduation rate from 62 percent to 73 percent over the decade, as two significant highlights of his term. He left Butler in 2011 to become president of Ursinus College. Lizzie Jacobs remembers the story of that day in 1997 when she left her suburban Chicago home for Williams College in Massachusetts. So when Jacobs, the Co-Executive Producer, Animation and Senior Editor for Print at StoryCorps, got in front of Butler University’s Class of 2018 on Monday at Clowes Memorial Hall, she understood how they might be feeling. “I believe this book is a perfect book for this time in your lives,” Jacobs told the 974 first-year students. “It’s a book about relationships—the surprising ways they begin and the myriad ways they change our lives for the better. And, yes, you’re all here to learn. You come here to learn and to prepare for the working world, and you’ll be in labs and music rooms and classrooms and library carrels. Jacobs said being part of StoryCorps, the national project to inspire people to record each other’s stories, has taught her to ask questions that get meaningful answers and encourage loved ones to be open and honest. Too often, she said, we smooth things over and keep the conversation light. But StoryCorps, which over the past 10 years has recorded the stories of more than 50,000 people, shows that asking the right questions and encouraging others to talk helps us understand each other. Heidi Radtke Siberz, an Associate Instructor of Saxophone at Indiana University’s Jacobs School of Music from 2010–2013, will join the Butler University School of Music faculty this fall. Siberz will take over for Nick Brightman, who will retire at the end of the 2014–2015 school year. She is currently a saxophone instructor with Franklin Community Schools and Stafford Music Academy in Bloomington, Indiana. A frequent performer of new works, Siberz has been featured at the Indiana State Contemporary Music Festival and the Annual Festival of New Music at Ball State University. 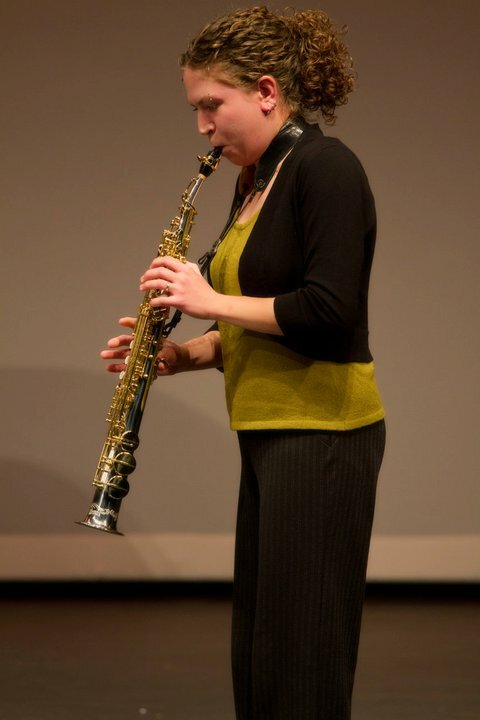 As a chamber artist, she is the alto saxophonist with the Obsidian Saxophone Quartet and also performs regularly with the Holographic New Music Ensemble. Her recent awards include the 2012 Mrs. Hong Pham Memorial Recognition Award for New Music Performance, which is given annually by the composition faculty at Indiana University. 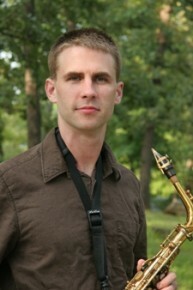 Siberz is a candidate for a doctor of music in saxophone performance and literature from the Jacobs School. She earned her high school diploma from Interlochen Arts Academy, and a bachelor of music in saxophone performance, a bachelor of arts in political science, a master of science in library and information science, and a master of music in saxophone performance and literature from the University of Illinois Urbana-Champaign. On January 31, 2015, Siberz and Director of Jazz Studies Matt Pivec will lead the first Butler Saxophone Day. Butler University’s School of Music will introduce a Jazz Studies major in the fall designed to help students become well-rounded musicians who can earn a living in music. The program will include a number of new courses, such as “Career Development in Entrepreneurship for Musicians” and “Jazz Pedagogy Practicum.” Sandy Williams (guitar) and Jesse Wittman (bass) will join the program faculty, and new guest artists will include Indianapolis jazz stalwarts Kenny Phelps and Steve Allee. The new major will continue to include courses such as Jazz Improvisation, Private Jazz Lessons, Jazz Arranging, and Jazz History. And, like all music students, Jazz Studies majors will take Music Theory, certain components of music history courses, and Keyboard Studies. Pivec said the new professors will be role models for the students. Williams is a freelance musician who teaches, plays recording sessions, and performs multiple styles of music, as does Wittman. Allee is a pianist, composer, and arranger who has written and performed for syndicated radio programs (“The Bob and Tom Show”), network television, and movies. He started his career with the Buddy Rich Orchestra at 19, and has released six CDs. Phelps is a virtuoso drummer who leads his own jazz-fusion group and has toured with numerous artists, including Dee Dee Bridgewater. Even among the most successful jazz stars, everyone does more than just play, Pivec said. Col. Michael J. Colburn, a 27-year veteran of the United States Marine Band and for the past decade Director of the military band known as “the President’s Own,” has joined the Butler University faculty as Director of Bands. In that capacity, he will oversee the Butler Wind Ensemble and the Butler Symphonic Band. He also will teach a section of basic conducting this fall, as well as a euphonium student and several master’s conducting students. Colburn will make his Butler conducting debut Sunday, September 21, at 3:00 p.m. during a School of Music showcase concert at the Howard L. Schrott Center for the Arts. Call 317-940-2787 for ticket information. Colburn’s time with the Marine Band included nine years as a euphonium player, eight as an Assistant Director, and 10 as the Director. The band’s mission is to perform for the President of the United States as well as the Commandant of the Marine Corps. The 49-year-old Vermont native attended the Crane School of Music at the State University of New York’s Potsdam campus for two years, then changed majors from music education to music performance and transferred to Arizona State University. Colburn auditioned for the Marine Band in December 1986 and was hired while working on his master’s in bass trombone and euphonium performance at Arizona State University. During his years with the band, he also finished a master’s in conducting at George Mason University. Colburn said Butler music students will be able to learn from his experiences, including starting at a small school, changing majors, and diversifying his career options. The deal to bring Colburn to Butler began to take shape about three years ago when Dan Bolin, his longtime friend and at the time the Butler University School of Music Chair, mentioned that Robert Grechesky, Butler’s longtime Director of Bands, would be retiring in 2014. Colburn called Bolin a few months later and asked about replacing Grechesky. In December, Colburn will receive The Midwest Clinic Medal of Honor for 2014 in recognition of achieving highest artistic standards on the world stage and his successes in bringing music to wide segments of society. The Medal of Honor, given by the Midwest Clinic, an international band and orchestra conference, recognizes conductors, educators, performers, composers, and others who have provided unique, distinguished service to music education and have had distinct influence on orchestras, bands, and related performance media. FORT WORTH, Texas – We saw the emotion from Ed Carpenter '03 two weeks ago at this year’s Indianapolis 500, but we saw Carpenter’s impressive driving skill Saturday night at the Texas Motor Speedway. Carpenter, team owner/driver of the No. 20 Ed Carpenter Racing/Fuzzy’s Ultra Premium Vodka Chevrolet, started fifth and led 90 laps to win the Firestone 600K under the lights in a superb performance. It was Carpenter’s third career Verizon IndyCar Series victory (Kentucky, Fontana and Texas) and the third win for Ed Carpenter Racing (Ed at Fontana 2012 and Texas 2014 and Mike Conway at Long Beach 2014). ECR was started in 2012. Carpenter, the Indy 500 pole winner, suffered a tough late race result at the 500 when he was knocked out the "Greatest Spectacle in Racing” on lap 175 while running in the second place. But the popular Butler University marketing grad left little doubt of his speed Saturday night at the high-banked 1.45-mile oval north of Ft. Worth. It was Carpenter’s 14th Texas start. Carpenter, whose best Texas finish was fourth last year entering Saturday’s race, led the 248-lap event three times including 66 of the last 67 circuits to defeat pole sitter Will Power and Juan Pablo Montoya in an all-Chevy podium finish. Carpenter made a spectacular pass on Power for the lead on lap 182 and widened his margin to 14 seconds before a late race caution flag on lap 241 closed up the field. On the lap 246 restart, Carpenter took the advantage again and won at the checkered flag by .524 seconds with an average speed of 178.301 miles per hour. The win for Ed Carpenter Racing gives the single-car team two wins in 2014 with its two drivers, Carpenter and Conway, in a unique team setup. Carpenter drives the six oval races and Conway the 12 road races. Carpenter has been delighted with the performance of his young single-car operation this year and Saturday night’s performance gave the entire Verizon IndyCar Series notice that the Fuzzy’s Vodka-packed squad will be tough to deal with the remainder of the 2014 season. While the disappointment of the Indy 500 still lingers with Carpenter, the win on Saturday night helps repair the sting from the race two weeks ago. There is no rest of the weary at Ed Carpenter Racing as the team begins testing at Iowa this Tuesday and Milwaukee Thursday and the following week at Pocono before the next Verizon IndyCar Series race, the Houston doubleheader on June 28-29 at Reliant Stadium. Conway will drive the Fuzzy’s Vodka Chevy at Houston.